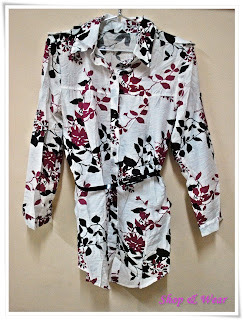 This stylish top with authentic floral prints is lightweight as well as cooling. It is also compliments with a black belt to create more styles! 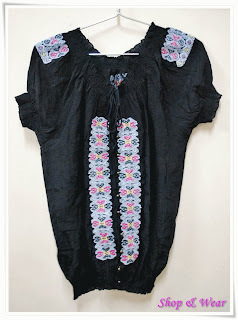 This is a soft spandex mid-length top with butterfly sleeves. The unique and artistic prints are on both sides. It can be worn in various styles and fit almost everyone! 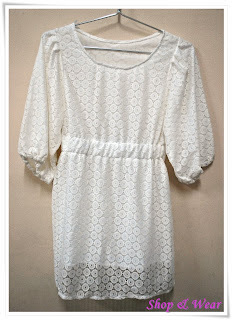 This white mini lace dress from Korea looks stylish and classy! It comes with a lining underneath and suits perfectly with leggings! It goes well with glittering accessories! Grab it now! This piece also comes in Beige/Cream in colour! 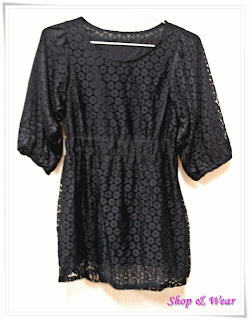 This black mini lace dress from Korea looks stylish and classy! It comes with a lining underneath and suits perfectly with leggings! It goes well with glittering accessories! Grab it now! 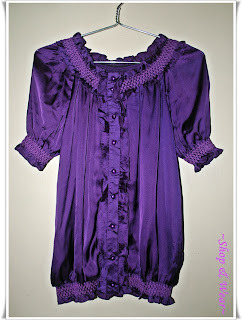 This deep-purple satin blouse is a must to have! It is a classic piece with smocking, fine frills and delicate ruffles. You can wear it to work as well as club after work! 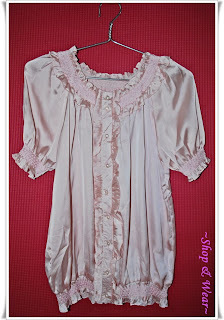 This pinkish satin blouse is a must to have! It is a classic piece with smocking, fine frills and delicate ruffles. You can wear it to work as well as club after work! This black satin blouse is a must to have! It is a classic piece with smocking, fine frills and delicate ruffles. You can wear it to work as well as club after work! 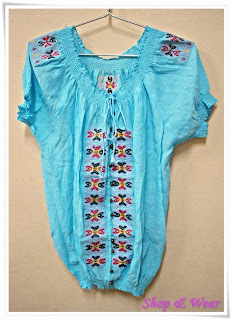 This is a vintage baby blue soft cotton blouse with fine frills around the collar, sleeves and waistline. It is sewn with attractive designs making it classy! 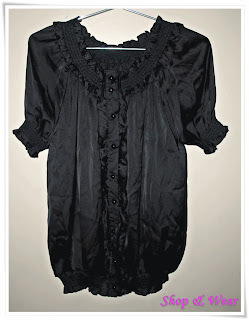 This is a vintage black soft cotton blouse with fine frills around the collar, sleeves and waistline. It is sewn with attractive designs making it classy! 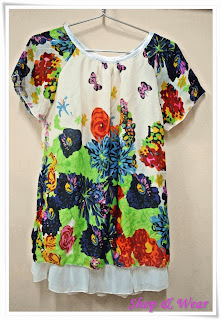 This lightweight colourful floral top can be a casual wear and it requires no ironing! It comes with white lining underneath and can be easily matched with any bottoms! Shop & Wear welcomes you to our lovely blogshop. This is a place where you can comfortably shop for clothes and accessories at affordable prices. We are glad to bring you wonderful clothesline. Thank you for visiting, and please visit us for more new products! Submit your inquiries about our product here! Post & share your adverts too!